In Tashkent Monday, Indian Prime Minister Narendra Modi said the relationship between Central Asia and India has “ancient roots” and “now occupies a significant place in India’s future.” In Astana Tuesday, Modi declared his intention to “write a new chapter in an ancient relationship.” Modi’s mission in Central Asia points to significant interests in energy, economics, and counterterrorism. Still, engagement between Central Asia and India leans heavily on history. Much of the history, literature, music, art and architecture of the Uzbek and Indian people, their mutual enrichment is associated with the name of our great ancestor Zahiriddin Muhammad Babur. India and Pakistan will join the SCO, but that doesn’t necessarily mean the SCO will start to matter more in Asia. Indian Prime Minister Narendra Modi and Pakistani Prime Minister Nawaz Sharif are headed to Ufa, Russia later this week where they will attend the Shanghai Cooperation Organization (SCO) Summit. Both India and Pakistan are set to join the organization as full members after years of holding observer status. Their accession is expected to conclude in 2016, according to statements by a Russian official. The SCO was founded in 1996 and is largely a forum for limited consultation and cooperation on political, economic, and military matters. 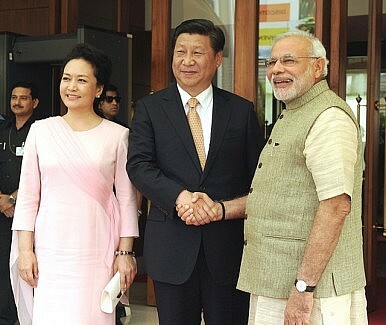 According to the Press Trust of India, the two prime ministers will meet on the sidelines of the summit on July 10. 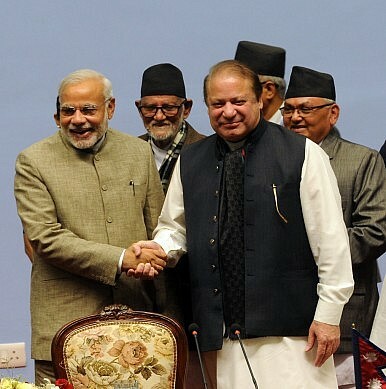 Modi’s talks with Sharif will be an important litmus test for the state of India-Pakistan relations, which have declined in recent months due to a range of factors, including skirmishes across the Line of Control in Kashmir and Pakistan’s treatment of anti-India terrorists. 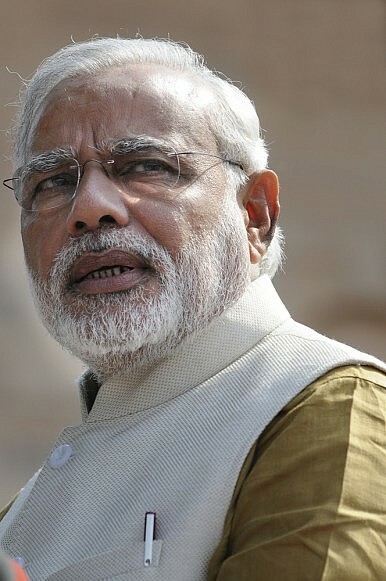 The Prime Minister embarks on his first visit to Russia next week to attend the BRICS summit and a meeting of the SCO. A visit by an Indian dignitary to that country is fraught with symbolism, given the long and steadfast relationship that India enjoyed with Russia’s predecessor, the erstwhile Soviet Union. Notwithstanding India’s professed policy of non alignment, the Soviet stand of consistently backing India on various issues in international for a coupled with huge investments in our infrastructure, economy and defence had won for that country the reputation of being an all weather friend. This was proved to the world in August 1971 when the Indo-Soviet Treaty of Peace, Friendship and Cooperation was signed, amidst indications of the Sino American entente and war clouds over the Indian Subcontinent – probably the high water mark of the Indo-Soviet relationship. 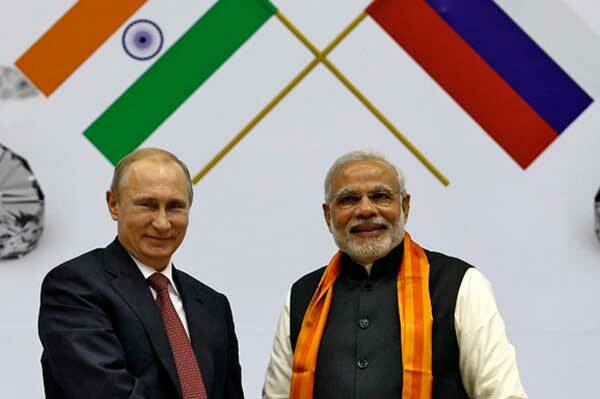 …over the last two decades the newly formed Russian Federation’s ties with India did lose some momentum. Farewell to India’s INS Viraat. India’s oldest aircraft carrier INS Viraat will be decommissioned in 2016 and turned into a docked museum ship after 57 years of continuous service, first as the Royal Navy’s HMS Hermes and then, after entering the Indian Navy in 1987, as the Viraat. 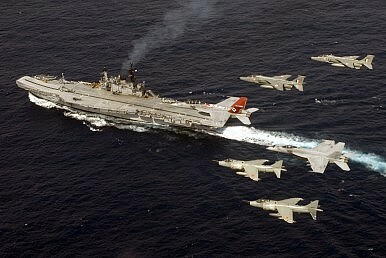 The Viraat was the flagship of the Indian Navy until its successor the INS Vikramaditya was commissioned two years ago. The Viraat‘s decommissioning will primarily mark a symbolic moment for the Indian Navy—its contribution to India’s Naval aviation was modest with a limited group of British Aerospace Sea Harrier jets and indigenously designed utility helicopters. Earlier this year, The Hindu noted that the carrier’s decommissioning was spurred by the deteriorating condition of the aging Harrier jets. Anxiety along the Russia-China border. If you don’t look closely, you may think that Russia and China are two pegs in an ironclad alliance and, while there are good reasons to think that they’ll stay aligned for a while, there are difficulties and anxieties underlying the relations, particularly on the Russian side. As a recent Financial Times report highlights, local politicians in the government of Russia’s Zabaikalsky Krai, a poor area in southern Siberia, on the Chinese border, recently concluded a controversial deal to let a private Chinese firm effectively control and develop 1,000 square kilometers of Russian land over a 49-year lease. 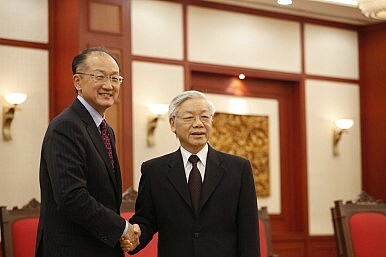 Details are few, but this meeting seems to be more ‘official’ than previous rounds of talks. The Afghan government publicly confirmed Tuesday that a delegation from the High Peace Council has traveled to Islamabad, Pakistan, to engage in talks with the Taliban. Details are limited, and what is known has been gathered from anonymous comments made by Western diplomats as well as Afghan and Pakistani officials. The Afghan government has pressed for a political solution to the conflict with the Taliban, engaging in a series of informal talks facilitated by Qatar, Norway and China this year. The May meetings in Urumqi, China were organized by Pakistan. The meeting was attended by three members of the old Taliban government and Mohammad Masoom Stanekzai, at the time a member of the High Peace Council and as of July 4 the second nominee for Afghan Defense Minister to be rejected by the parliament. The Urumqi meeting was disavowed by the Taliban, as represented by the official political office based in Qatar–which said the men who attended were not official representatives. Most of the men in Pakistan’s regular forces have no understanding that the people doing their best to kill them are the offspring of the strategic thinkers in the army and ISI. In the summer of 2010, I was teaching at the Lahore University of Management Sciences in Pakistan. When I was not teaching, I was conducting research for my book Fighting to the End: The Pakistan Army’s Way of War. Pakistan’s army and various intelligence agencies organised a series of visits to important facilities and regions where military and anti-terror operations are ongoing, including the Swat valley and North and South Waziristan. The army routinely uses these tours to cultivate observers, in hopes that they will believe Islamabad’s various party lines, namely: that they are fighting a serious war on terrorism; that they are victims themselves of terrorism; that these terrorists are backed by Indian, Afghan, Israeli, and even American intelligence agencies; and that, therefore, Pakistan cannot possibly be supporting terrorism in any way. This photo of 11 young men, with their faces clearly visible, is proof that militant groups are winning new recruits. On Friday, the Jammu and Kashmir police asked a local court to block all Facebook pages that had uploaded this image of 11 uniformed boys. The picture was clicked over the last month, the authorities believe. The boy in the centre of the second row is 19-year-old Burhan Muzaffar Wani. He is the face of the new militancy movement in the Valley. As his popularity has grown over the last four years, solo pictures of Wani have spread rapidly across social media networks. The fact that he now stands with ten more men hints at a changed reality. In terms of principle, the case is important because it is a bold attempt to begin to untangle the knotty South China Sea disputes through the rule of law rather than the might makes right approach that China has been using over the past few years. 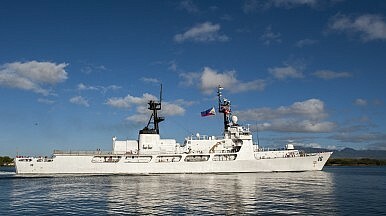 Since 2009, China has increased its assertiveness in the South China Sea, including by seizing Scarborough Shoal from the Philippines in 2012, forcibly moving an oil rig into Vietnamese waters in 2014, building artificial islands, and encroaching even into the southernmost extent of its nine-dash line reaching into Malaysia and Indonesia. 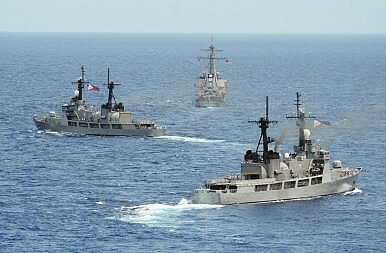 This disturbing and destabilizing pattern has continued despite repeated protests that it violates the United Nations Convention on the Law of the Sea (UNCLOS), other agreements like the 2002 Declaration on the Conduct of Parties Beijing inked with Southeast Asian states, and general principles like the peaceful settlement of disputes. China’s stocks tumbled in recent weeks. Barely three weeks earlier, on June 12 (Friday), Shanghai Composite (SSEC) closed at 5166.35 points, the highest since January 18, 2008. Yet by the end of July 3, the SSEC shed 1481.99 points, losing almost 29 percent of its recent high and more than $2.8 trillion of value (i.e., 10 times of Greece’s annual GDP). What is vexing for policymakers is that the Chinese stock markets ignored signals from the Chinese leaders and continued their downward fall. 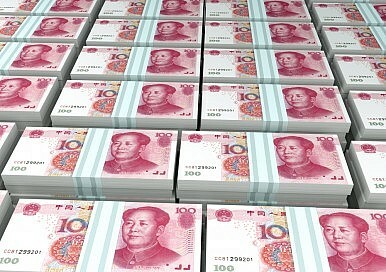 Following the 7.40 percent dive on Friday (June 26), the People’s Bank of China (the central bank of China) on Saturday responded by cutting its benchmark interest rates and the amount of reserves certain banks are required to hold. The central bank cut its one-year benchmark lending rate by a quarter of a percentage point to 4.85 percent and its one-year deposit rate by the same scale to 2 percent. Moreover, Monday, June 29, was supposed to be an auspicious day when the ceremony for the establishment of the Asian Infrastructure Investment Bank (AIIB), a China-led international bank, was held. But investors disregarded these strong signals and continued their selling. The SSEC lost 12 percent for the week, the worst weekly performance since the financial crisis. Yesterday, reports surfaced that the Philippine military was “ramping up” its military spending amid a rising threat from China most clearly manifested in the saber-rattling by the two sides in the South China Sea. While the reports provide important updates about the status of Philippine military modernization, it is important to put them in broader perspective because it can otherwise mislead some. First, the total spending amount recently announced is not a new increase, but an approval of an old request. According to Reuters, Major-General Raul de Rosario, military chief of plans, unveiled that 998 billion pesos ($22.11 billion) has been approved by the government until 2028. That approval was based on plans and funding amounts articulated in the Armed Forces Modernization Act initiated in 2013 and had been pending for the past two years. Never mind the crisis in Greece, what's happening next door? As we prepare to deal with the fallout of the choices of the Greek voters, all economic eyes are pointed squarely at Europe. For good measure: The outcome of Sunday's referendum will have a definitive impact on the future of the Euro and could potentially have ripple effects on the economies of Spain and Portugal that will in turn affect the rest of the world. So there are good reasons to focus on Greece right now. But there's also a story line playing out closer to home, across the border in China, that could also be somewhat troubling. Shares in China's two major stock markets have nosedived over the past month in what is now properly being described as a crash. 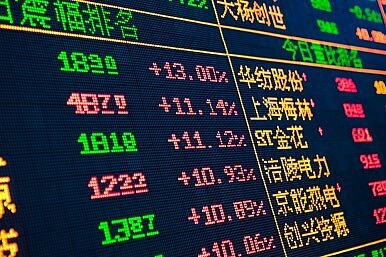 The Shanghai Stock Exchange has lost more than 24% of its value since June 12. On the smaller, but influential, Shenzen Composite, total value is down 30% in the same time. That means the markets have wiped out something to the tune of $2.4 trillion in wealth over the last few weeks alone, which is 10 times the size of the Greek economy. India and China’s enmity has a long and complicated history, and may soon get much fiercer as they compete for control of the Indian Ocean. The enemy of the enemy is my friend…at least until a better option comes along. This appears to be the guiding principle of geopolitics in the fault-line region where China and India rub together. It has tended to escape scrutiny from the West, due to the inaccessibility of the area and the labyrinth of language differences. And, also, the sheer complexity and length of the conflicts involved, according to Bertil Lintner, a journalist who has not only spent decades watching the area but a lot of time traveling around it. His new book, Great Game East: India, China, and the Struggle for Asia’s Most Volatile Frontier, is no armchair study but the result of hands-on experience. Lintner notes that on a number of occasions border disputes between China and India have led to armed conflict. But the Game is usually more about maneuvering for influence with the states, would-be states, and insurgency movements that form a chain from the Himalayas to the Bay of Bengal. Lintner supplies some helpful maps of the area, which illustrate the patchwork nature of the region. Where Did Chinese State Media Get All Those Facebook Followers? People's Daily is surging on a social media platform Chinese citizens can't even access. The headline was worthy of a double take, and the article read like a dispatch from a not-too-distant, perhaps dystopian future: “People’s Daily deputy editor in chief: Our number of Facebook fans second only to the New York Times.” The famously red mouthpiece of China’s Communist Party was claiming in a June 27 Chinese-language article that the popularity of its English-language Facebook page had overtaken those of the Wall Street Journal and USA Today. It quoted its own deputy editor in chief, Lu Xinning, telling a media forum in Russia that the paper had 4.6 million fans on Facebook, even though the social media platform is blocked in China. (The total is now 5.7 million.) The achievement, she said, showed how social media was upending the old pecking order, letting some papers overtake their rivals “like cars on a winding road.” But a closer look suggests the state-funded Daily’s Facebook genuine fan base, which only surpassed 1,000 in April 2013, is not as large as the numbers make it seem. An al Qaeda fighter who had been released in exchange for former French hostage Serge Lazarevic was killed by French special forces during a raid in the Kidal region of northern Mali yesterday. Mohamad Ali Ag Wadossene, a member of al Qaeda in the Islamic Maghreb (AQIM), al Qaeda’s official branch in North Africa, had previously been captured by French forces in Mali sometime last year. The Associated Press reported that yesterday’s operation occurred in the Tigharghar mountains in the northern Kidal region. A Malian military official stated that a dozen other AQIM fighters were also captured in the assault. The French Ministry of Defense has released a statement saying “two terrorists were captured,” along with the killing of Wadossene. 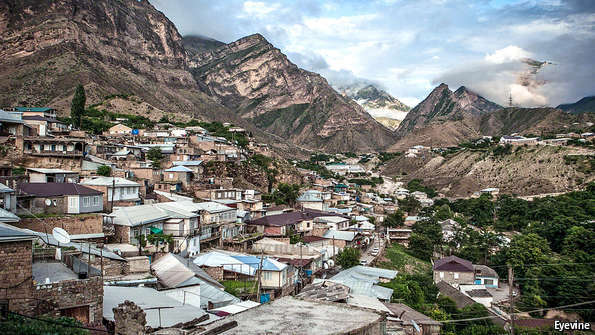 IN OCTOBER 1832 Russian soldiers besieged the village of Gimry (pictured) in the mountains of Dagestan in an effort to capture Gazi-Muhammad, the first imam of the Caucasus Imamate, who had defied their rule. He was killed, but his follower, Imam Shamil, jumped over the line of Russian bayonets and escaped. 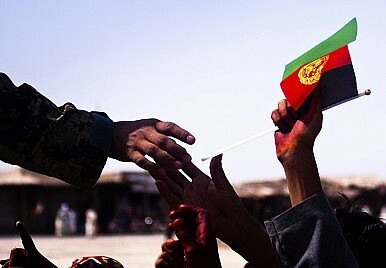 Ever since then, Gimry has been a symbol of defiance and a stronghold of Islamic rule. In the autumn of 2014 Russian soldiers again besieged the village. They were trying to capture Magomed Suleimanov, a native of Gimry who had been proclaimed emir of the Emirate Caucasus, an al-Qaeda-linked insurgency launched in 2007. The soldiers sacked a neighbouring settlement, forced out its population of 1,000 and looted their houses. Mr Suleimanov escaped, but Gimry remains surrounded by Russian soldiers; only residents are allowed in. Amir figures in the list of 50 most wanted terrorists India wants to be deported from Pakistan. He carries a reward of Rupees one million on his head. Born on 5 January 1978, Amir Reza Khan, alias Parvez (also known as Rizwan and Muttaki) was one of the four sons of Ishaque Ali Khan and Hasina residing in Beniapukur’s Mafidal Islam lane in Kolkata, in the state of West Bengal. Ishaque Ali Khan managed a small construction business and a large joint family. According to the National Investigative Agency (NIA) Amir’s permanent address is in Gaya district’s Mheyan, in the state of Bihar, which is the hometown of Ishaque Ali Khan. Amir’s life was significantly influenced by that of his elder brother Asif Reza Khan. An effective strategy to defeat the jihadist group must overcome the deep-seated mistrust between Iraq’s Sunni and Shia communities. As the Iraqi government wages war against the Islamic State, it is severely underestimating the extent to which continued, deep-seated mistrust among Iraq’s ethnosectarian communities is undermining its effort. Iraqi Shia have largely failed to understand the fears that are keeping Iraqi Sunnis away from the fight against the radical jihadist group; Iraqi Sunnis have long miscalculated their leverage in the country’s politics and have backed themselves into a fatal corner with the Islamic State; and Iraqi Kurds are single-mindedly pursuing a vision of independence, which is standing in the way of cooperation in the war against the Islamic State. In many of the Sunni-dominated areas in which the self-proclaimed Islamic State has entrenched itself, locals have been unwilling to fight against the Sunni extremist group. Not only do they fear extreme reprisals from the Islamic State, but they also worry that, even if they succeed, they stand to have their areas returned to the control of what they see as an oppressive Iranian-influenced Shia government in Baghdad. This sense has been reinforced by the inability of Prime Minister Haider al-Abadi’s government to deliver on security and civil protection reforms that it has long promised the Sunni community. The Trans-Pacific Partnership (TPP) — a major new trade agreementunder negotiation among 12 countries in the Asia-Pacific region — received a shot in the arm in the United States at the end of June when Congress voted to grant President Barack Obama “fast-track” authority to negotiate it. The TPP has fueled considerable dispute. Reasons for this include the secrecy with which talks have been conducted, the agreement’spotential effects on U.S. jobs and growth, and its geopolitical implications. But one issue that has received comparatively little attention is how the TPP is likely to impact the developing countries slated to join. "Better locks are not what is most needed now, especially if they serve to legitimize the accumulation of ever larger quantities of plutonium." There are hearings in Congress this week dealing with two agreements that set the terms for nuclear cooperation with China and South Korea. They could well bear upon our next strategic surprise: plutonium leaking from the energy sector of some country and ending up in a terrorist’s nuclear weapon. As the Obama administration frets over Russia’s apparent decision not to attend next year’s Nuclear Security Summit, the real issue is the U.S. failure to address the threat posed by growing stockpiles of plutonium. Indeed, the president’s approach to nuclear security may well make matters worse. Unless something unexpected happens, a nuclear cooperation agreement between the United States and China will come into force in the next few months. The agreement has a prior consent clause permitting China to reprocess spent fuel that arises from U.S. nuclear cooperation without asking Washington's permission first. Although this will allow China access to thousands of kilograms of plutonium contained in the spent fuel from its nuclear energy program, it will only add to the thousands it has already been producing in its nuclear weapons program. 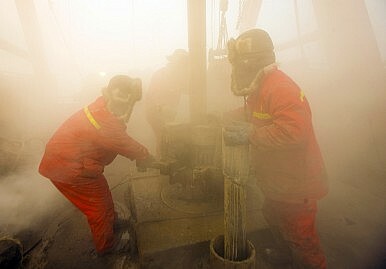 Since China has nuclear weapons, some will not care about this, but others, concerned about nuclear security and the increased risk of nuclear terrorism, care a lot about the intrinsic importance of so much more plutonium being separated from spent fuel every year, and the precedent it sets for other countries in Northeast Asia. U.S. Vice President Joseph Biden lauded the future promise of U.S.-Vietnam relations earlier today after participating in the first ever meeting between U.S. President Barack Obama and General Secretary of the Communist Party of Vietnam Nguyen Phu Trong as both countries celebrate the 20th anniversary of the normalization of ties. Biden, who called for an end to the Vietnam War when he was first elected as a senator in 1972, said it was remarkable that he was standing with the general secretary celebrating the 20th anniversary “with nothing but promise on the horizon” for bilateral ties. For all the progress that had been achieved thus far, he said that both Obama and himself viewed this as just the beginning of a relationship. “As remarkable as the past two decades have been, I believe, and more importantly, the president believes, that our relationship is just getting started,” Biden said in lunch remarks in honor of Trong. Earlier, before their White House meeting, Obama had said that his interaction with Trong had provided a good opportunity for both sides to lay out the future vision for their comprehensive partnership which they signed back in 2013. This week will likely — and finally — witness thedénouement of the longstanding nuclear dispute between Iran and the P5+1 (the five permanent members of the UN Security Council and Germany). Now that we’ve reached the July 7 deadline, there appears to be a strong chance that the negotiations will result in an agreement. Predictably, this has led to a wave of criticism against the Obama administration. For many critics, in particular, a key problem with the deal is that it will inevitably unshackle Iran’s power and consolidate its place as a rapidly rising regional hegemon. Yet Iran does not come close to having the power necessary for the hegemony that anti-Iran hawks in the United States, Israel, and the Sunni Middle East fret over, and a nuclear deal will not change this reality. Iran’s power is brittle: Its conventional military is increasingly obsolescent, its economy is strangulated by sanctions and mismanagement, and the country is more diplomatically isolated than it has been for decades. As it finalizes negotiations with the P5+1, Iran is dealing from a position of weakness, not strength. The status quo is, for the Islamic Republic, excessively and increasingly costly. Tehran’s optimal outcome from these talks is not to consolidate its regional preponderance but rather to cut its losses after years of mounting sanctions and isolation. As Russia prepares to hold the BRICS summit in Ufa, among other issues up for discussion will be the future course of the organization. Russian analysts speak to RIR about what lies ahead for BRICS and why this “interest group” has begun to play such a major role in Moscow’s foreign policy. 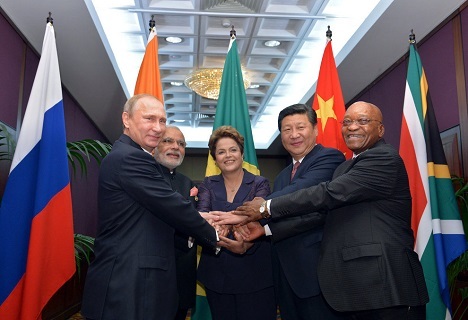 29 Jun 2015 – Having emerged as a purely formal organization for rapidly developing countries which were attractive for western investors, the BRIC bloc, later BRICS, has become a club for states which are united not only by their economic indicators, but also their general position in the international environment. One of the main factors consolidating the five member states of the bloc was the sense of “under-representation in western-centric international organizations”, said Dmitry Suslov, deputy director of the Faculty of World Economy and Politics at the Higher School of Economics. Yes, Burma's economy is growing — off the backs of the country's impoverished workers. In February of this year, Naing Htay Lwin and Myo Min Min werearrested and charged for protesting without permission — a violation of Burma’s infamous “Peaceful Assembly Law.” They have spent the last six months in prison for demanding a pay rise of $1 a day for workers who make an average of 43 cents an hour. As union leaders working in the garment manufacturing sector of rapidly liberalizing Burma, they pose a serious threat to the government’s plan for economic growth. They are also singularly vulnerable to the spectrum of human rights abuses facing workers across Burma today. Burma’s laborers exist to provide the fuel for the country’s growth, not to benefit from it. Most spreadsheet shifters and politicians on the creditor side want to persist with the logic of confrontation. To quote Oscar Wilde, they know “the price of everything and the value of nothing.” But even in narrow accounting terms, their strategy is flawed: Contrary to their expectations, Greeks have not surrendered, and pushing them out of the eurozone would be more costly to the creditors than clinching a deal. Besides, the stakes are much bigger than that. Does the eurozone really want to be an empire that tramples on democracy and crushes dissent? Is fear enough to hold it together, or might disintegration have a domino effect? What about the cost of neglecting all the other big issues that Europe’s leaders ought to be addressing? Will the best ever images of Pluto reveal something that presents a case for planethood? The new pictures that NASA’s New Horizons probe has begun to beam back have revealed Pluto and its largest moon, Charon, in ever greater detail from what is the first ever spacecraft fly-by. Pluto has an atmosphere and five known moons which have been glimpsed by New Horizons as it closes in, and while we can’t predict what we will find, whatever is revealed is sure to lead to renewed cries that Pluto be re-classified as a planet – a status it lost in 2006. 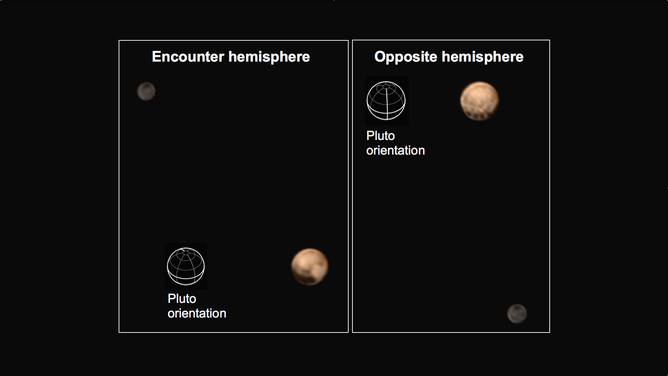 Two sides of Pluto (larger and browner) and Charon (smaller and greyer) seen as New Horizons approaches. The hacker group Cyber Caliphate that was thought to be an online arm of the Islamic State has no ties to the terror group despite its cyber attacks in support of the ultra-violent al-Qaeda offshoot, according to a State Department security report. Instead, Russian hackers now appear to be linked to the Cyber Caliphate, a fact discovered by French government authorities after a cyber attack on TV5Monde television in France last April. In addition to the announcing the lack of a connection between IS and the Cyber Caliphate, the State Department warned that the terrorist group nevertheless continues to have unprecedented online recruitment and propaganda capabilities. “ISIL’s online presence for propaganda and recruitment purposes continues to be unmatched by other terrorist organizations,” the report said. The Islamic State uses Internet sites and social media strategies to disseminate and control its Islamist message. Cyber War Is Hell Think cyber war is bad now? It is only going to get worse – much worse — says security expert Bruce Schneier. Cyber attacks like the one inflicted by the North Korean government on Sony are just the opening skirmishes before the outbreak of a hugely dangerous cyber war that is inevitable. Security expert Bruce Schneier issued this stark warning in his address at the recent InfoSec Europe security conference in London. Much of the future-looking discussion in national security circles today focuses on autonomous systems and cyber weapons. Largely missing from this discussion is a place for humans on the battlefield. Do today’s emerging and potentially disruptive technologies mean that humans will no longer be important in future warfare? A look at historical military operations and current technologies suggests the proper response is that, to paraphrase Mark Twain, reports of man’s obsolescence have been exaggerated. New rankings raise questions about the extent to which cybersecurity is a shared responsibility between government agencies and contractors. After revelations that a compromised contractor loginabetted a grandiose breach of federal employees’ background investigations, now comes word that Defense Department suppliers score below hacked retailers when it comes to cyber defense. The new industry-developed cyber rankings — and the recent Office of Personnel Management hack — raise questions about the extent to which cybersecurity is a shared responsibility between government agencies and contractors.